Flexibility is triumph: This Q! small ladle is made of flexible, heat-resistant silicone at the tip and adapts perfectly to the shape of the vessel when required. 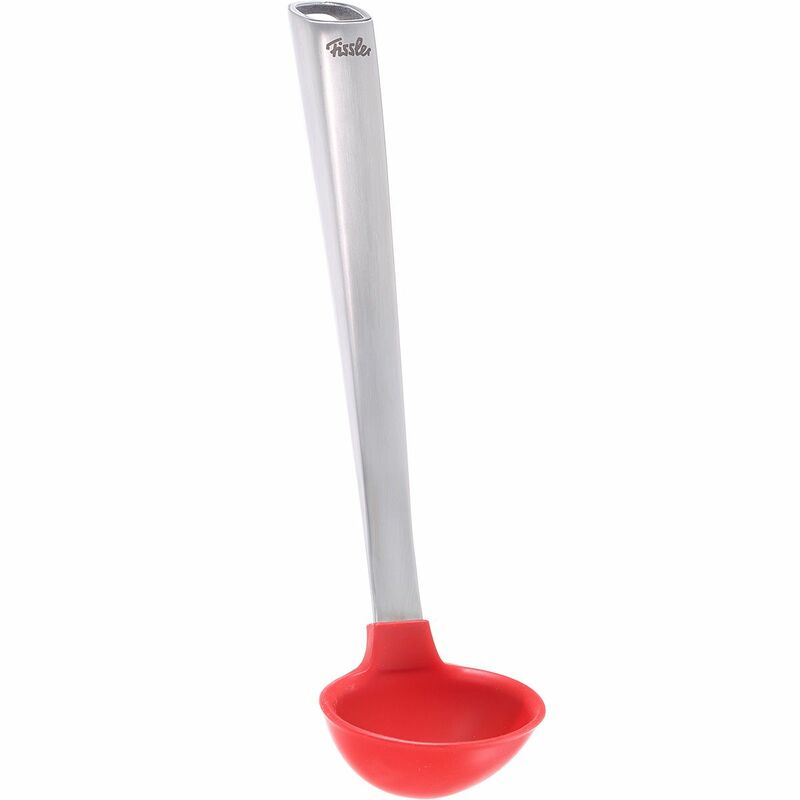 Soups or sauces can thus be easily scooped to the last drop. This also happens without the unpleasant scratching noises of conventional ladles.